This student-curated exhibit, developed by the John P. Chesick Scholars Program and the Libraries, celebrates the inauguration of Dan Weiss as Haverford College’s 14th president. 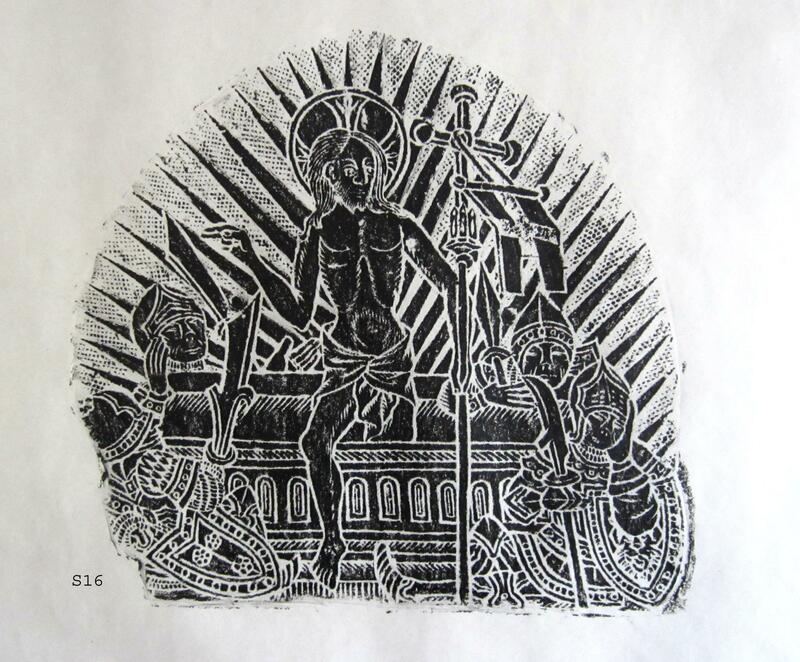 The exhibit features brass rubbings made by Maxine and David Cook ’64 and given to the college. We also thank Bryn Mawr and Swarthmore College for contributing treasures to the exhibit. 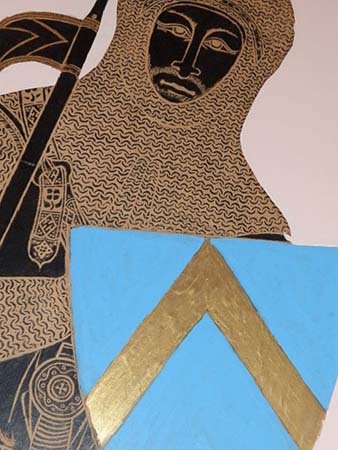 The brass rubbings have been divided into five themes. The introduction is located in Magill Library, family and marriage in Stokes Hall, identity and self in the Whitehead Campus Center, power and social rank in Founders Hall, and spirituality and the afterlife in the KINSC. 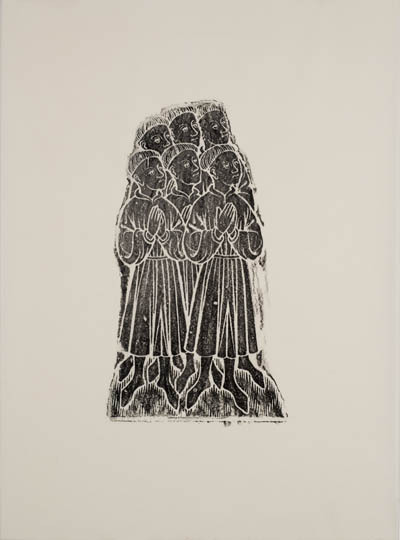 Maxine and David Cook ’64 made the brass rubbings in Germany in 1971 and the United Kingdom in 1973. 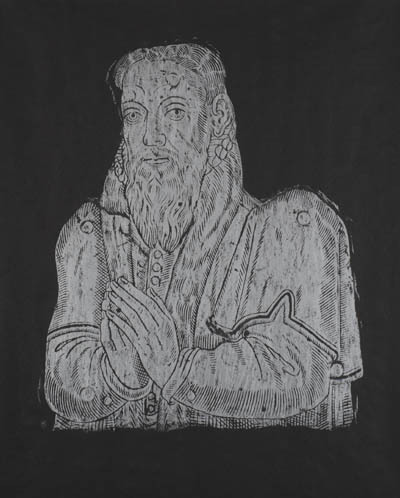 In 2013 they donated the David C. Cook HC’64 and Maxine Cook Collection of Monumental Brass Rubbings to Magill Library for use in teaching and research. Badham. Sally and Malcolm Norris. 1999. Early Incised Slabs and Brasses from the London Marblers. London: Society of Antiquaries of London. Bennett, Judith. 2008. 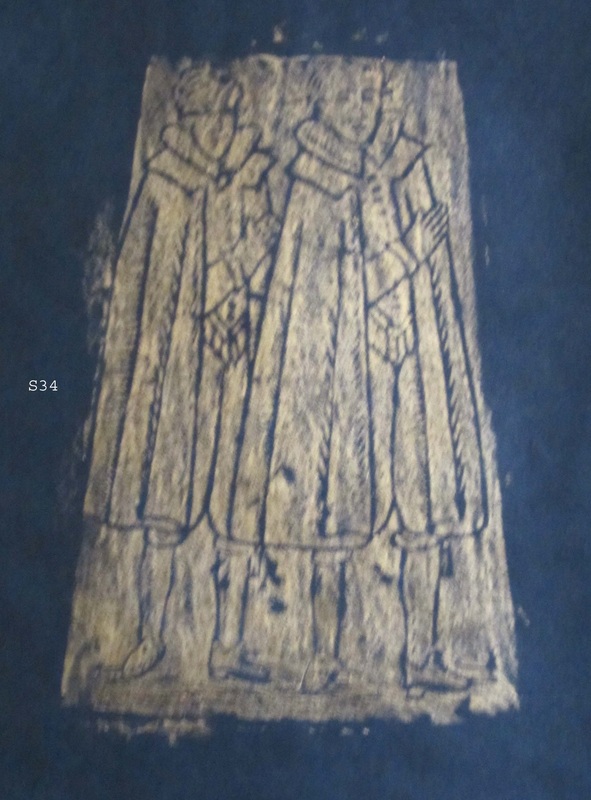 “Two Women and their Monumental Brass, c. 1480.” Journal of the British Archaeological Association 161: 163-184. Bertram, Jerome, ed. 1996. Monumental Brasses as Art and History. Phoenix Mill, England: Alan Sutton. Brass Rubbings Collection. 2013. Hamline University. http://www.hamline.edu/ brass-rubbings/. British History Online. 2013. 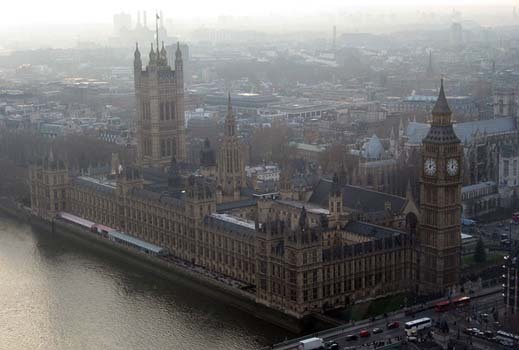 University of London and History of Parliament. http://www.british-history.ac.uk/. Coales, John, ed. 1987. 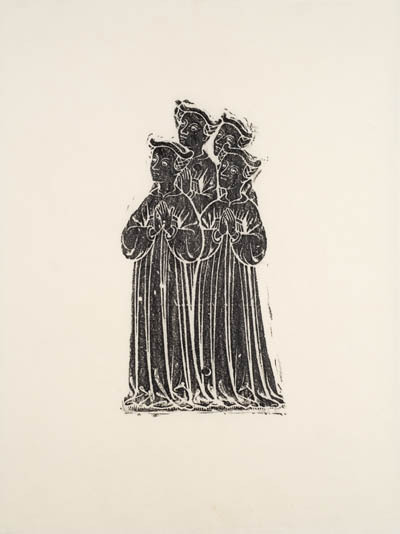 The Earliest English Brasses: Patronage, Style, and Workshops, 1270-1350. 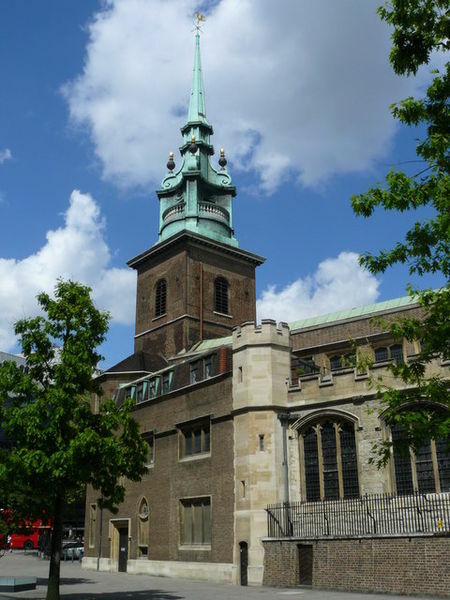 London: Monumental Brass Society. Crane, Susan. 2002. The Performance of Self: Ritual, Clothing, and Identity during the Hundred Years War. Philadelphia: University of Pennsylvania Press. Davis, Isabel. 2011. “’The Trinite is our everlasting lover’: Marriage and Trinitarian Love in the Later Middle Ages.” Speculum 86, 4: 914-963. Grant, Francis J. 1929. Manual of Heraldry. Edinburgh: John Grant. Hutchinson, Robert. 2003. “’Tombs of brass are spent’: Reformation Reuse of Monumental Brasses.” In The Archaeology of Reformation 1480–1580, edited by David Gaimster and Roberta Gilchrist, 450-468. Leeds: Maney. Lindley, Phillip. 2007. 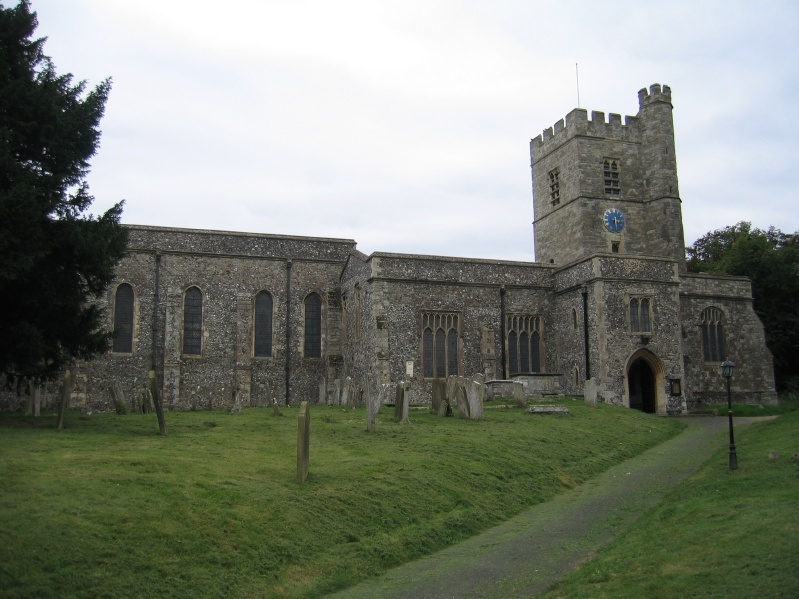 Tomb Destruction and Scholarship: Medieval Monuments in Early Modern England. Donington: Shaun Tyas. Meara, David. 2008. Modern Memorial Brasses 1880–2001. Donington: Shaun Tyas. Norris, M. W. 1956 “The Schools of Brasses in Germany.” Journal of the British Archaeological Association 3rd series 19: 34-52. Norris, Malcolm. 1978. Monumental Brasses: The Craft. London and Boston: Faber and Faber. ____. 1977. 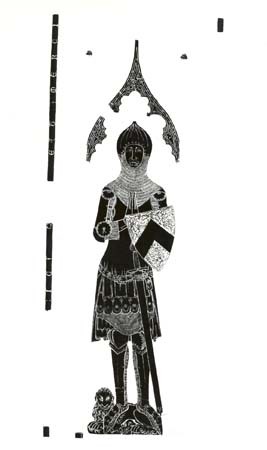 Monumental Brasses: The Memorials I and II. London: Phillips and Page. Orme, Nicholas. 2001. Medieval Children. New Haven and London: Yale University Press. Owen-Crocker, Gale, Elizabeth Coatsworth, and Maria Hayward. 2012. Encyclopaedia of Medieval Dress and Textiles of British Isles, C. 450–1450. Leiden and Boston: Brill. Oxford Art Online. 2013. Oxford University Press. http://www.oxfordartonline. com/subscriber/. Oxford Dictionary of National Biography. 2004. Oxford University Press; online edn. http://www.oxforddnb.com/. Saul, Nigel. 2001. 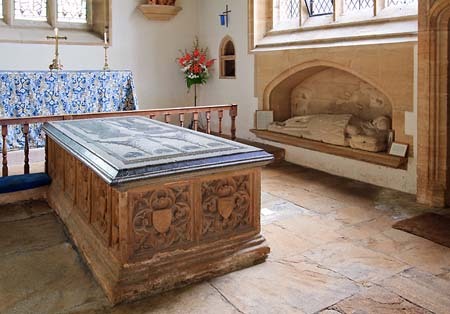 Death, Art, and Memory in Medieval England: The Cobham Family and Their Monuments, 1300–1500. Oxford: Oxford University Press. ____. 2006. “The Contract for the Brass of Richard Willoughby (d. 1471) at Wollaton (Notts. )” Nottingham Medieval Studies 50: 166-193. ____. 2009. 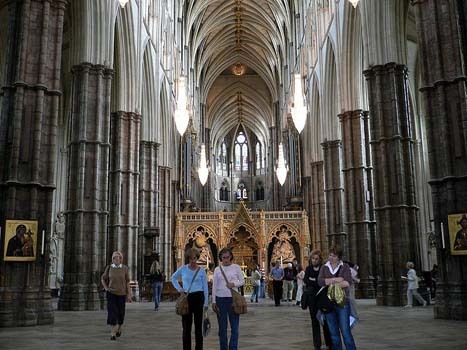 English Church Monuments in the Middle Ages: History and Representation. Oxford and New York: Oxford University Press. Scott, Margaret, Jane Ashelford, Aileen Ribeiro, and Vanda Foster. 1986. A Visual History of Costume: The Fourteenth and Fifteenth Centuries. London: Batsford; New York: Drama Book Publishers. Sherlock, Peter. 2008. 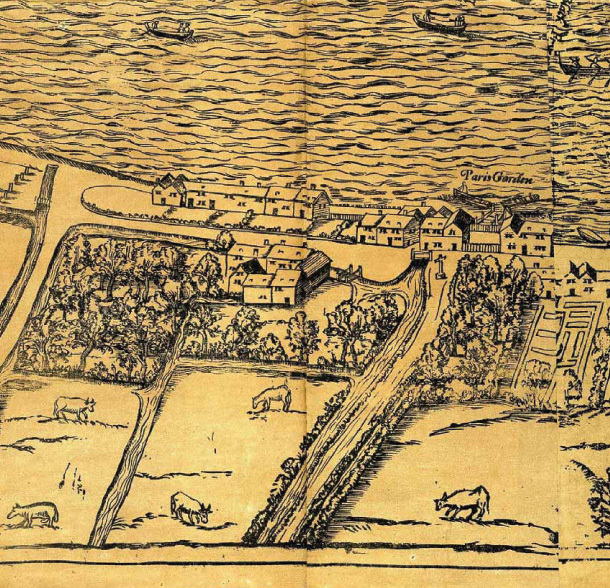 Monuments and Memory in Early Modern England. Aldershot, England and Burlington, Vermont: Ashgate. Inscriptions on brass monuments asked passersby to pray for the deceased’s salvation. Souls in purgatory benefited from the prayers of the living and the intercession of saints. Lay religion took new forms in the 14th and 15th centuries with the widespread use of books of hours. Gentry and nobles could recite prayers in a regular cycle like monks and nuns, reflecting on spiritual truths and preparing for the afterlife. On their tombs they represented themselves attentively in prayer, a witness to their piety and a reminder to the living of their duty and ultimate fate. 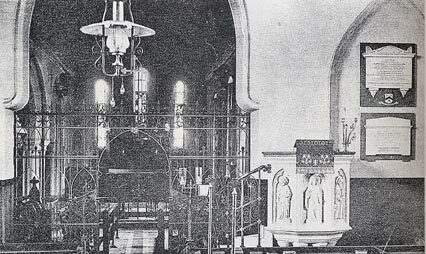 In later years, Protestantism profoundly shaped religious beliefs and practices. Swipe through the gallery below and select a rubbing to view more information, touch points of interest, and see related images for each. Brass images are unique, representing individuals -sometimes particularized like a portrait and other times an idealized beauty. 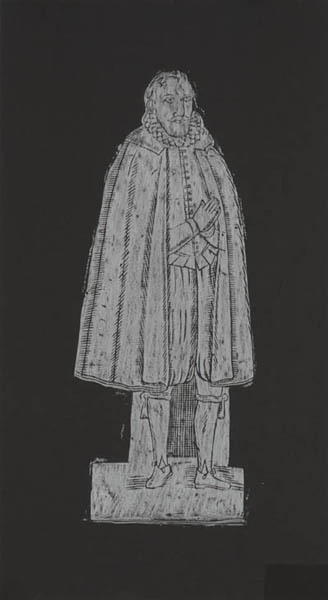 The details of clothing and armor are observed, indicating the latest fashions: buttons down the sleeves of a woman’s gown or a man’s hairy head emerging from a tournament helmet. There was an appreciation for these luxuries and the personal pleasures they brought despite clerical misgivings. Recognition of the individual is also seen in the changing portrayal of children. On 14th century monuments, boys and girls are represented as an undifferentiated group, but by the late 16th century artists were producing closely observed portraits of children. The gentry and nobility occupied elevated social ranks and expressed their status in various ways including finely wrought tombs. John Cobham emphasized his achievements by holding a building he had commissioned. Clerics memorialized their status, both familial and ecclesiastical. In other situations, power is notable by its loss. 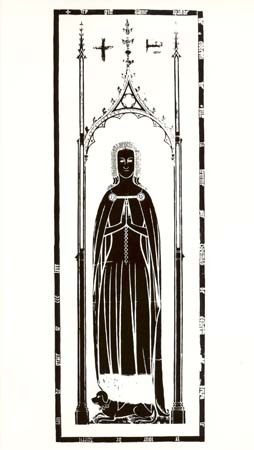 Eleanor de Bohun, a fabulously wealthy heiress, married the king’s youngest son; yet in her monument, she is dressed simply as a widow. She withdrew from public life after her husband’s murder. The transitory nature of power was symbolized by the wheel of fortune. It suggests the anxiety people felt about misfortunes which could disrupt rank and power. St. Mary's Church, Stoke D'Abernon, Surrey (exterior). With the permission of the photographer Peter Reed ©. 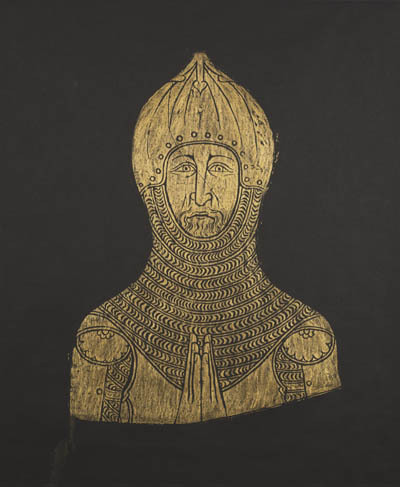 Drawing of John de Abernon&apos;s brass. Illustration of John de Cobham&apos;s seal on the wall at Cooling Castle at Cooling, Kent. Permission granted by Graham Field. 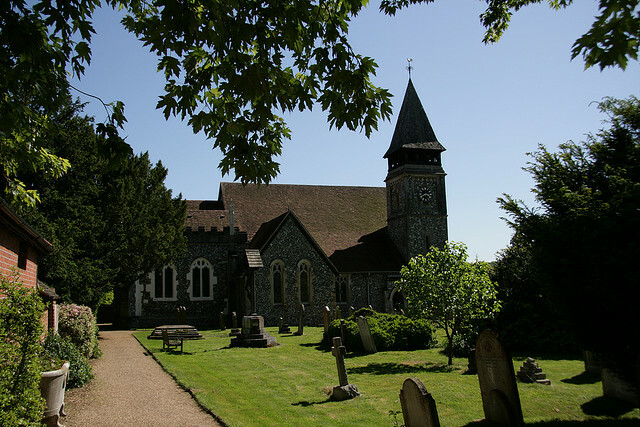 St. Mary's Church at Stoke D'Abernon, Surrey (exterior). 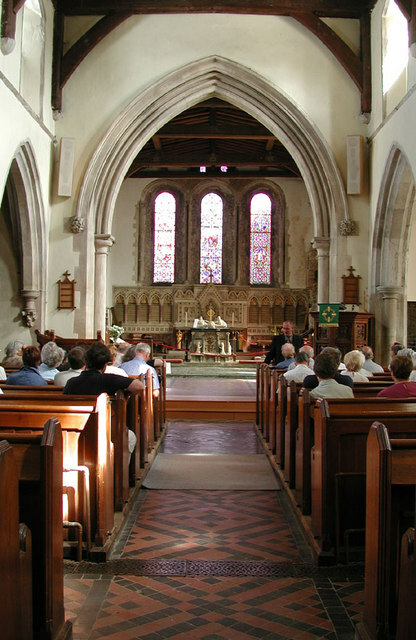 The interior of St. Peter and St. Paul&apos;s Church at South Petherton, Somerset is in partial view. Two other tomb monuments are visible. 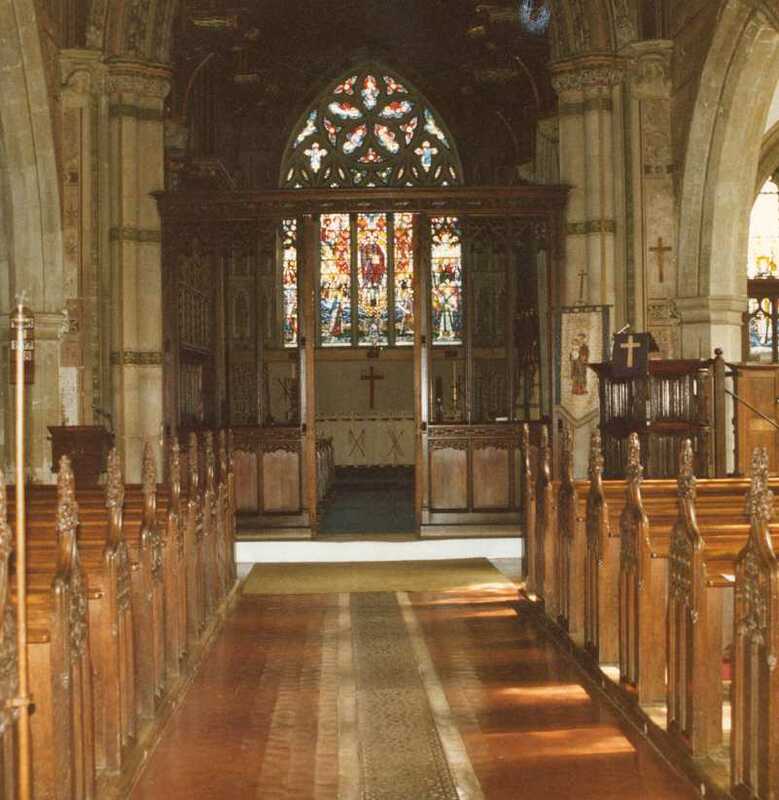 St. Peter and St. Paul&apos;s Church at South Petherton, Somerset (interior). Drawing of Lady Urswyck, Sir Thomas Urswyck, shields, and their children. St. Peter and St. Paul&apos;s Church at South Petherton, Somerset (exterior). 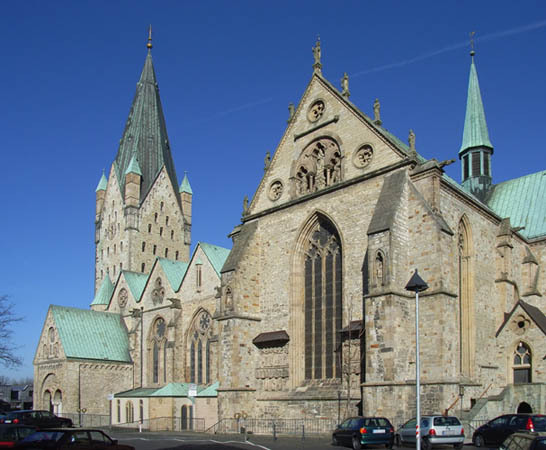 Paderborn Cathedral at Paderborn, North Rhine-Westphalia (interior). 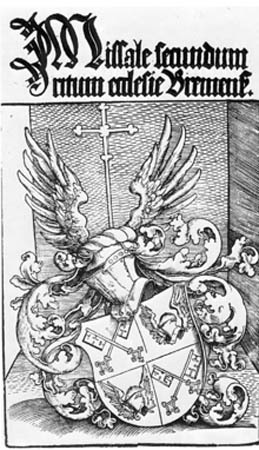 Brass rubbing of Heinrich Spiegel von Desenberg&apos;s monument including two shields and an inscription around the frame. Elizabeth&apos;s husband John Burrough. The tomb inscription shows that only she was buried there. Brass monument of Nicholas Hawberk including his son, parts of the inscription, the footrest, and part of the canopy. 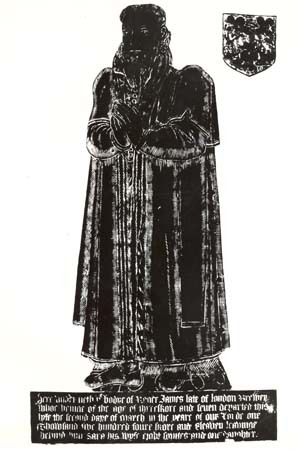 Brass rubbing of the monument including Nicholas Hawberk, the canopy, the inscription, and other figures. Church of St. Mary Magdalene (exterior). Reproduced by permission of the Medieval Combat Society. 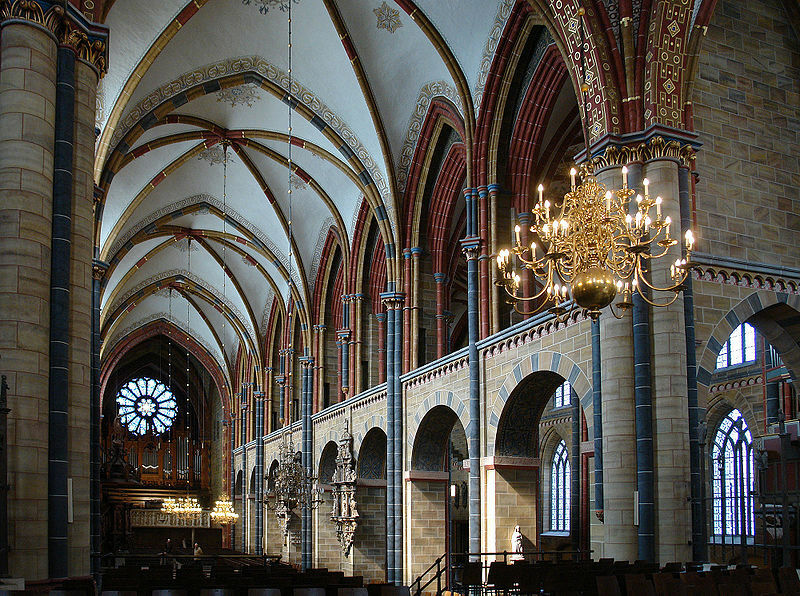 Church of St. Mary Magdalene (interior). 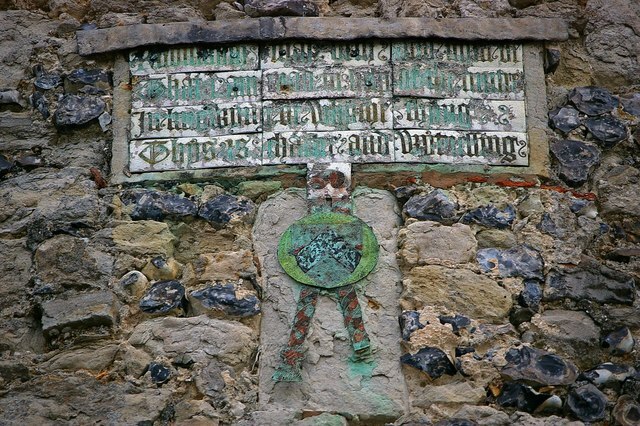 Monument of Sir Reginald Braybrooke, second husband of Joan, Lady of Cobham, and his two sons. Reproduced by permission of Hamline University. 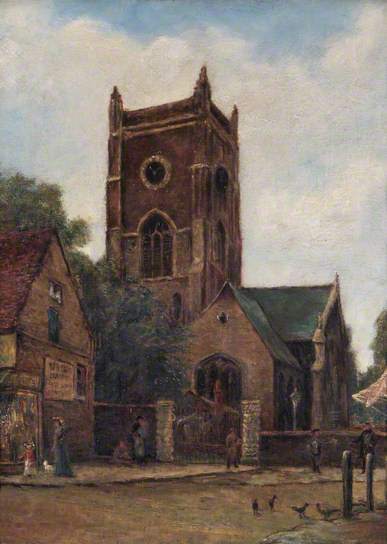 Painting of All Saints Church at Kingston upon Thames (exterior) from 1900. Drawing of Joan and Robert Skern. 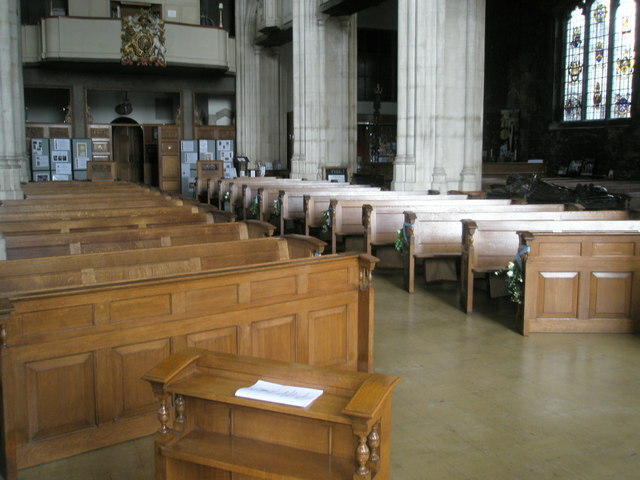 All Saints Church at Kingston upon Thames (interior). 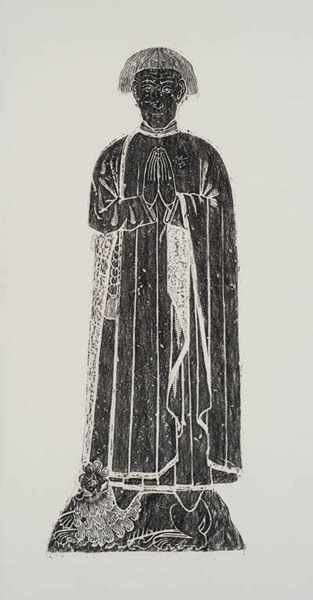 Brass rubbing of Roger James including body, shield, and inscription. 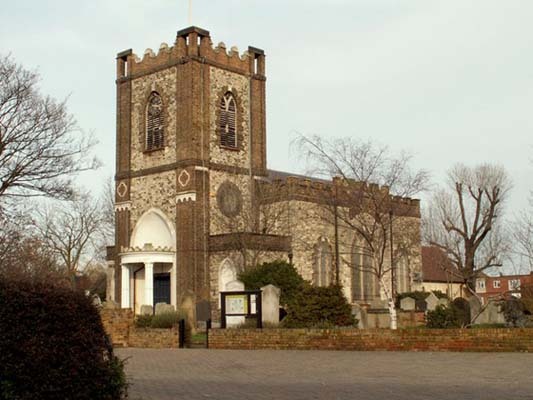 Church of All Hallows at Tottenham (exterior). 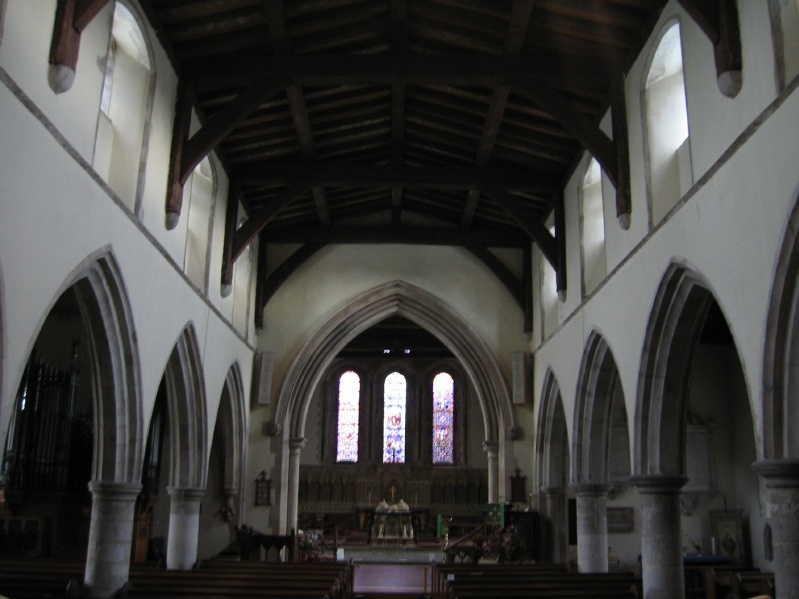 Church of All Hallows at Tottenham (interior). 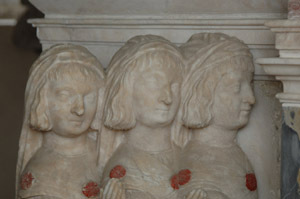 Philippa&apos;s brothers and sisters pictured with her on the monument. 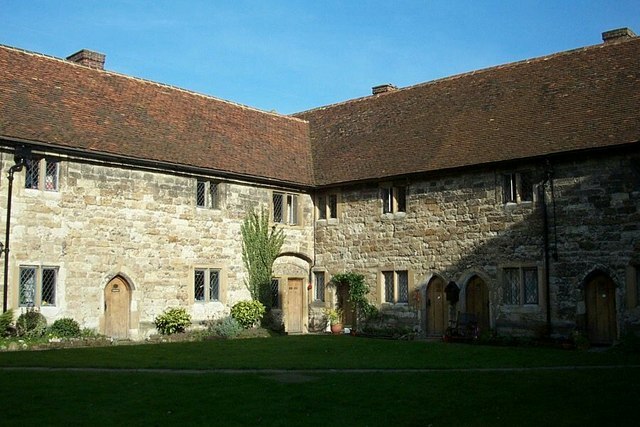 Carew Manor at Beddington, Surrey. 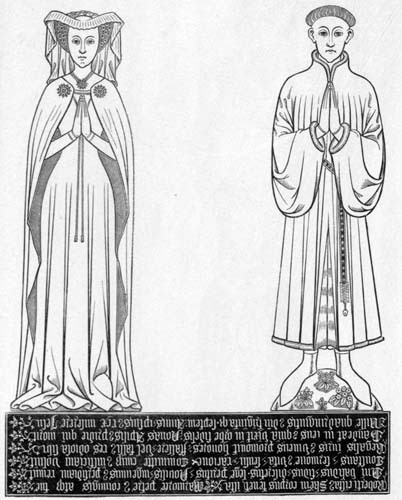 Illustration of the brass of Philippa&apos;s father, Nicholas Carew, and his first wife, Isabel. Church of St. Mary the Virgin at Beddington, Surrey (exterior). 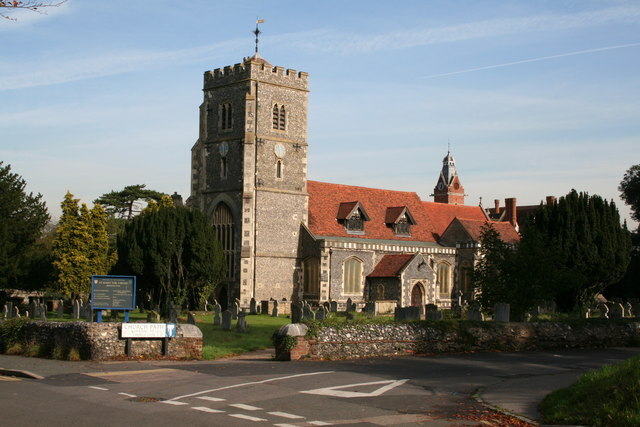 Church of Mary Magdalene at Cobham, Kent (exterior). 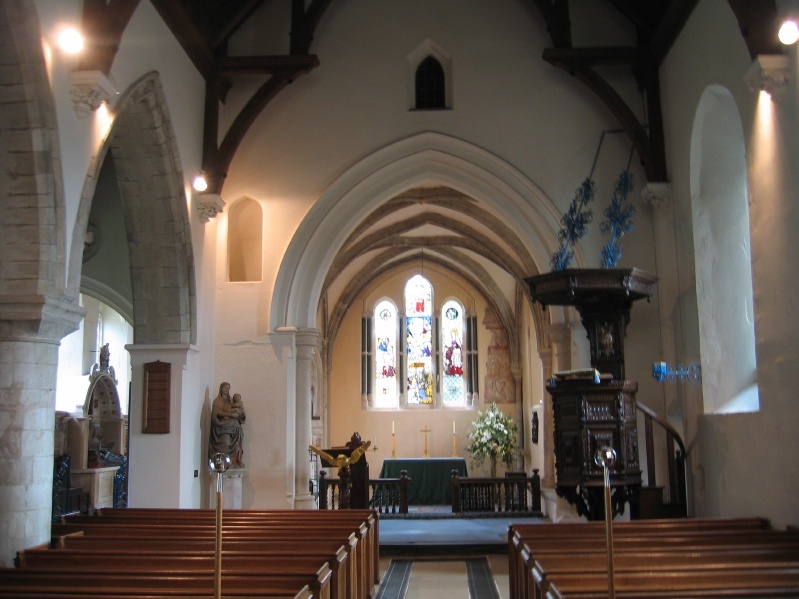 Church of Mary Magdalene at Cobham, Kent (interior). 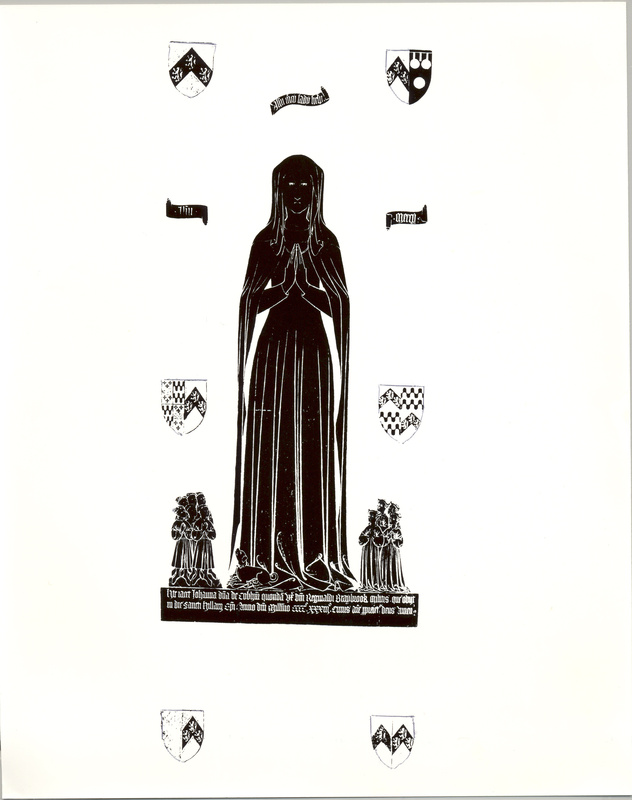 Brass rubbing of Lady Cobham including her sons and daughters, six shields, and the inscription. 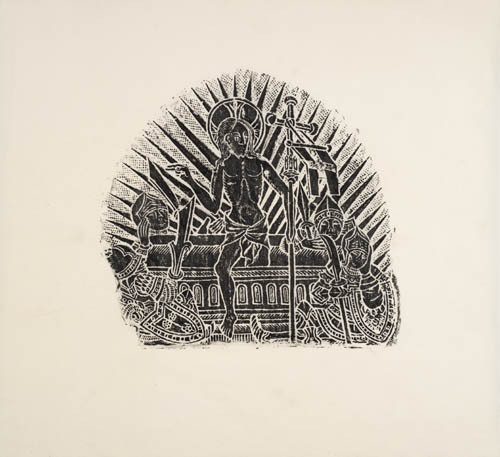 With the permission of the Brass Rubbings Collection, Hamline University. 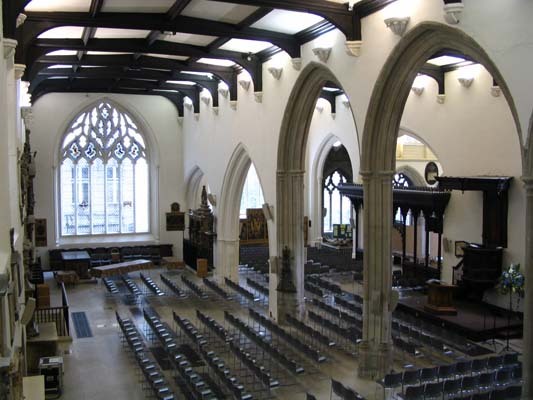 St. Helen&apos;s Bishopsgate Church in the City of London (interior). 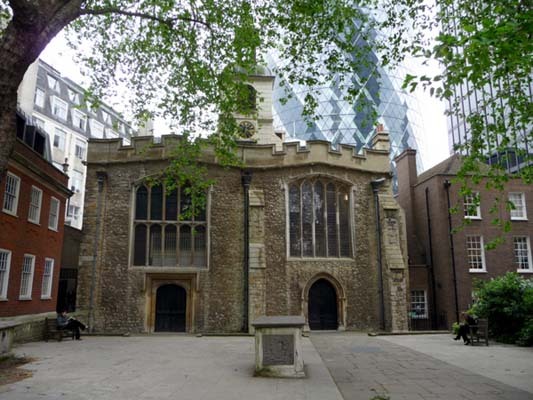 St. Helen&apos;s Bishopsgate Church in the City of London (exterior). 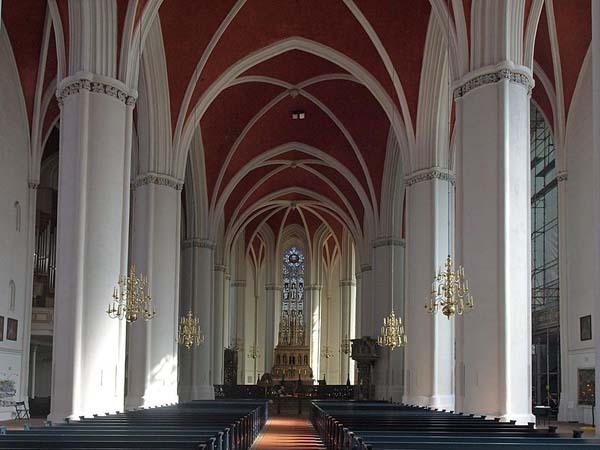 St. Andrew&apos;s Church, Verden (interior). 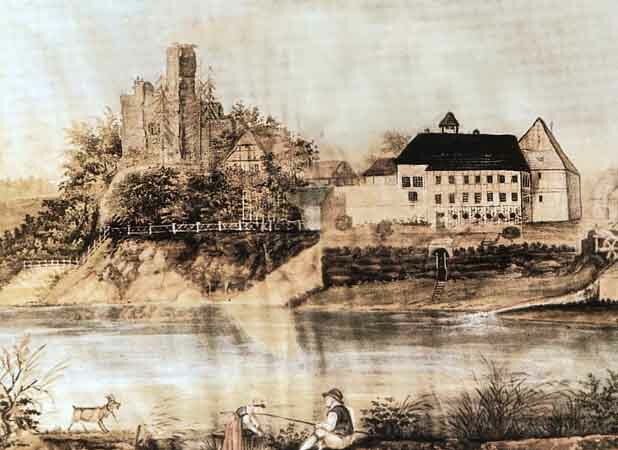 Illustration done in 1823 of Wölpe castle. 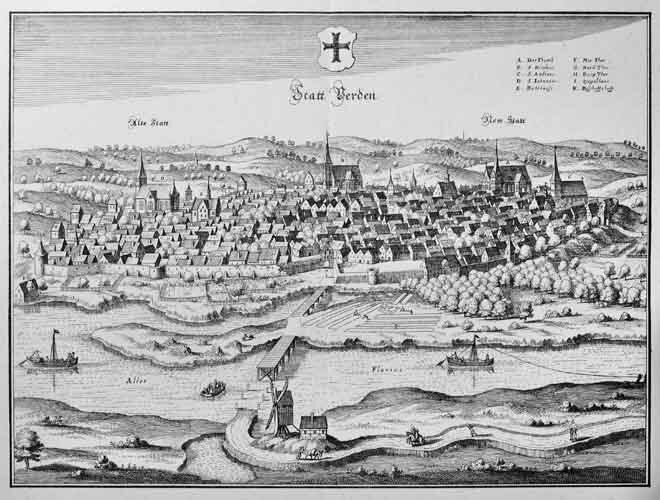 17th-century illustrated map of Verden showing St. Andrews Church and the city wall. John de Cobham&apos;s seal on the wall at Cooling Castle at Cooling, Kent. 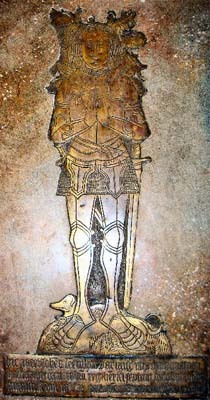 Brass monument of John de Cobham. 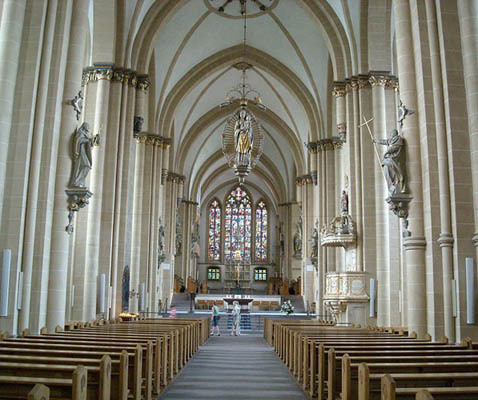 Alternative image of the interior of the Church of Mary Magdalene. 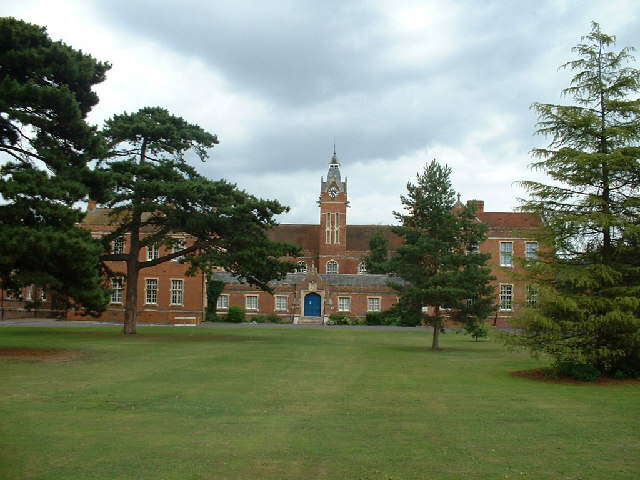 Alternative image of Cobham College. Cobham College at Cobham, Kent. 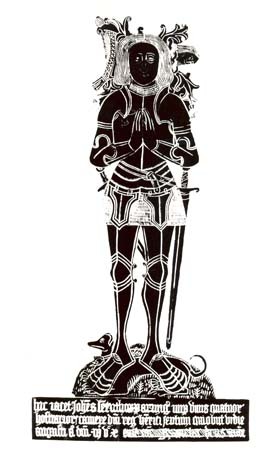 Brass rubbing of Sir John with parts of the inscription and canopy. 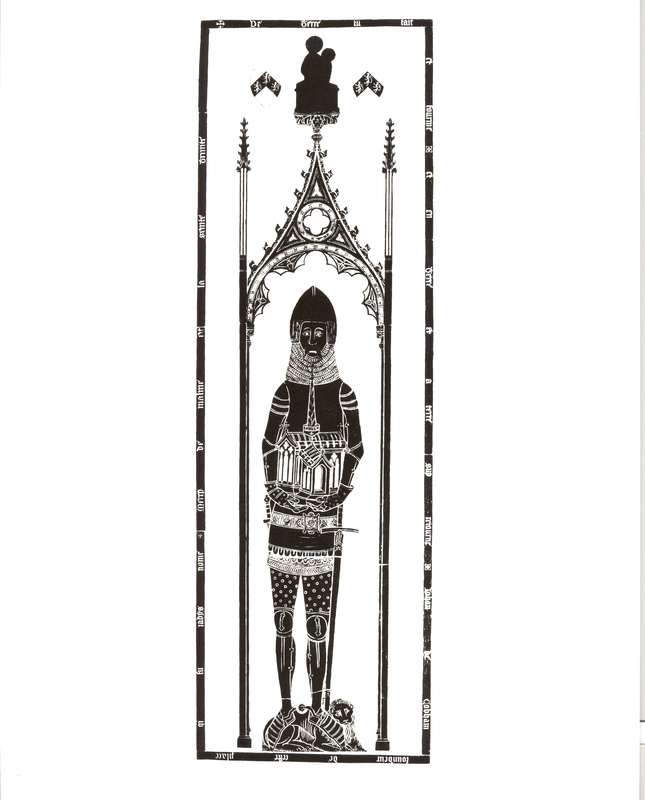 Brass rubbing of John de Cobham including a canopy and two shields. 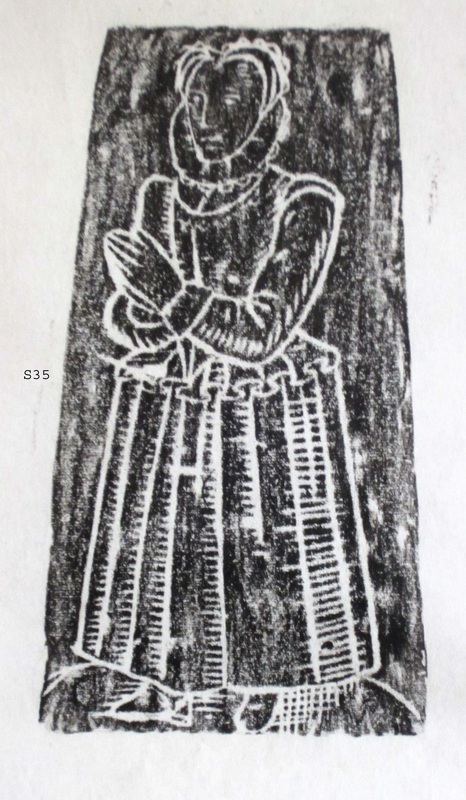 Brass rubbing of John Leventhorp including inscription. 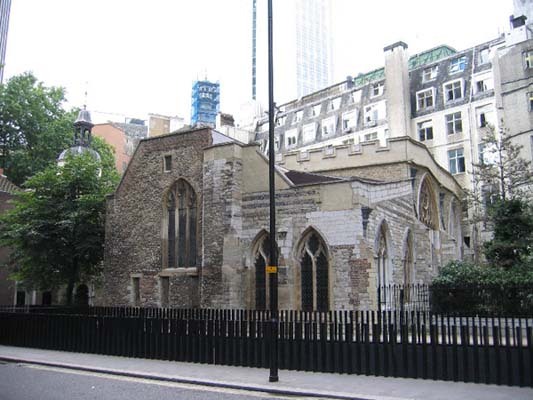 St. Helen’s Church at Bishopsgate (exterior). © Christine Matthews, used under a Creative Commons Attribution License. 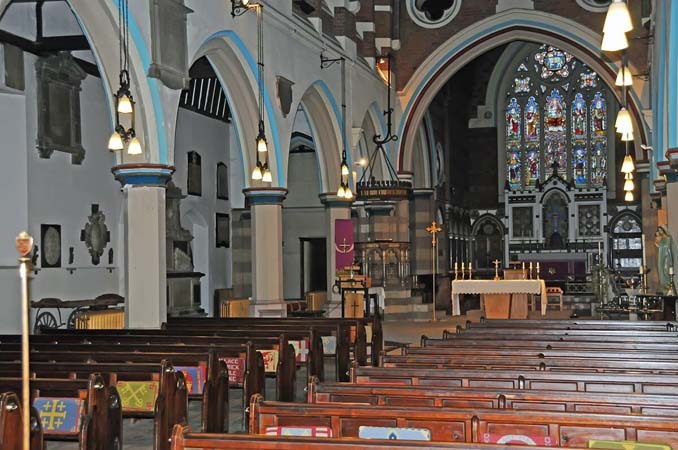 St. Helen’s Church at Bishopsgate (interior). 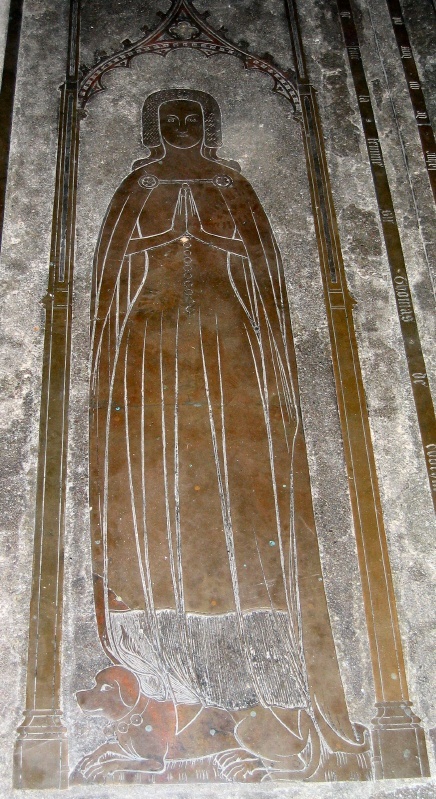 Brass monument of Maud Cobham. 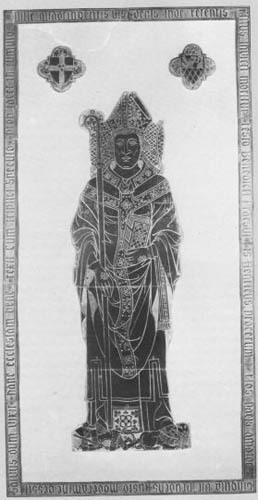 Brass rubbing of Maud Cobham including canopy, shields, and an inscription around the frame. 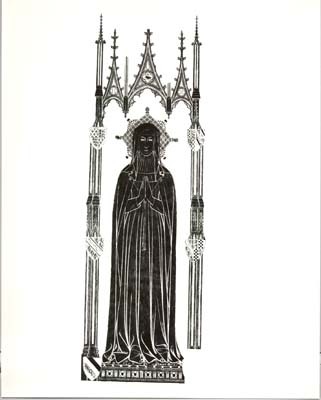 Brass rubbing of Eleanor de Bohun&apos;s monument including the canopy and heraldic shields. 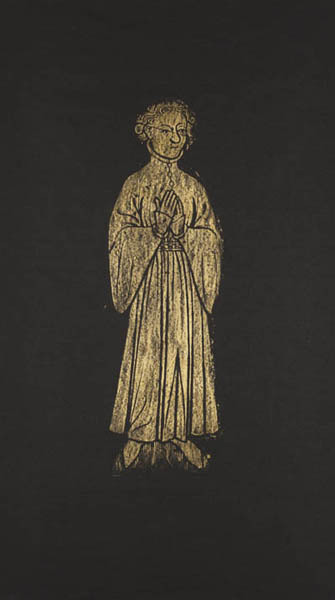 Lost brass from 1397 of Thomas of Woodstock, Eleanor de Bohun&apos;s husband. 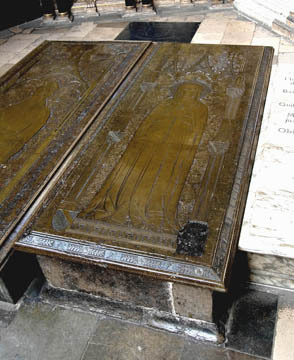 Eleanor de Bohun&apos;s tomb at Westminster Abbey. © Jurgen Howaldt, used under a Creative Commons Attribution License. 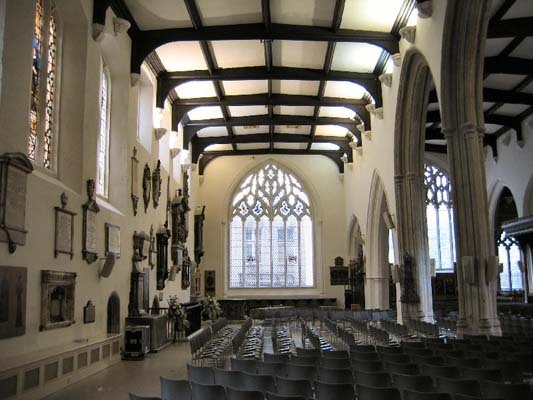 Church of All Hallows by the Tower at Barking (interior). 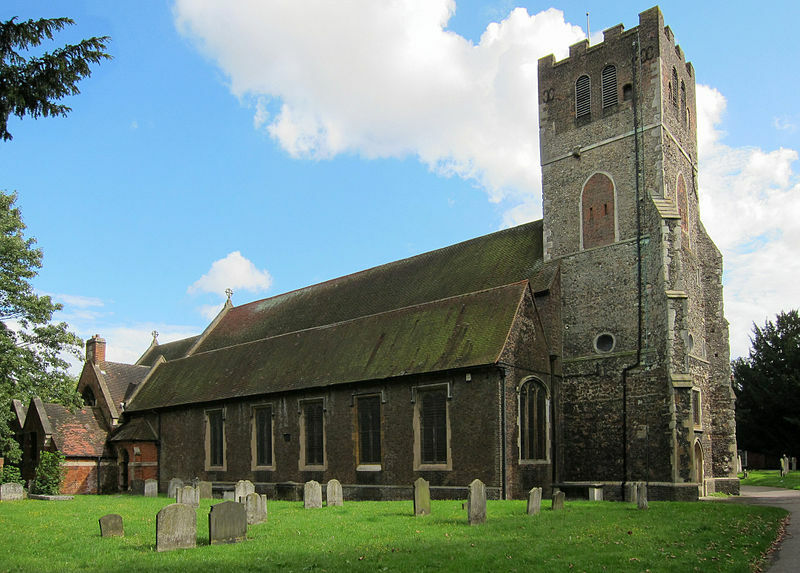 Church of All Hallows by the Tower at Barking (exterior). 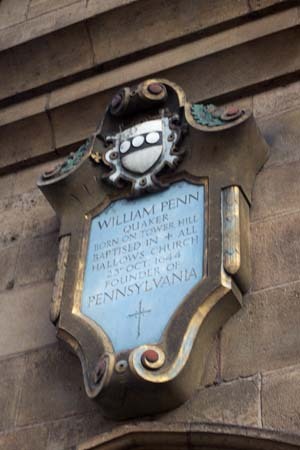 William Penn’s memorial at All Hallows Church which his father saved from the Great London Fire. © Alan Levine, used under a Creative Commons Attribution License. Reproduced by permission of Kenneth Mays and Richard Lambert. Close up of Margaret Irby on the Barkham family memorial. 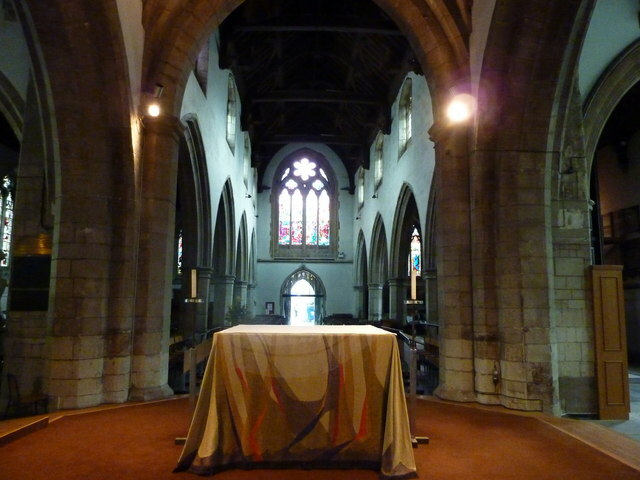 Reproduced by permission of the Layston Church. 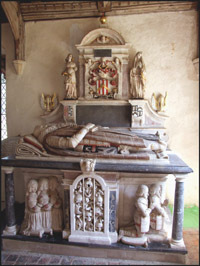 Barkham family memorial including Margaret Irby and her father, Sir Edward Barkham. 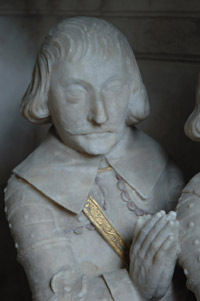 Close up of Sir Edward Barkham, Margaret Irby&apos;s father, on the Barkham family memorial. 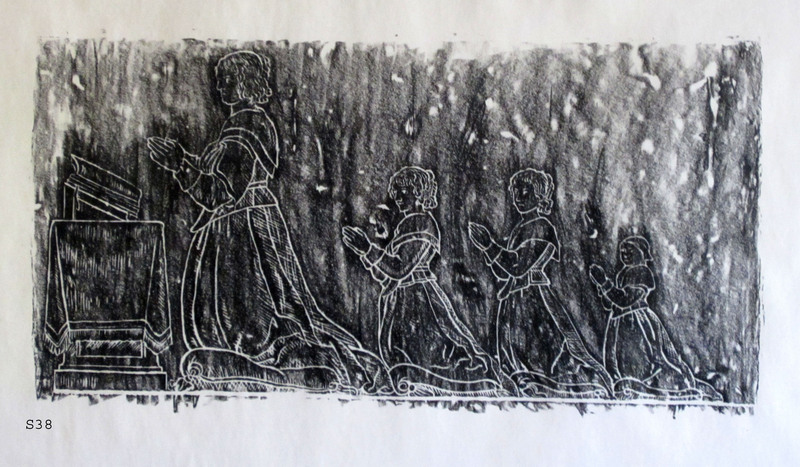 Brass rubbing of Margaret Irby and her three daughters.